Now that this is a sticky I must say that I only use Meguiar's products on my car. There is no need to switch or use different products from different companies. NXT: which is an Excellent quick alternative to a full wax job. Gold Class Leather Cleaner/Conditioner: which has made my leather look newer than when I first picked my car up at the dealers. 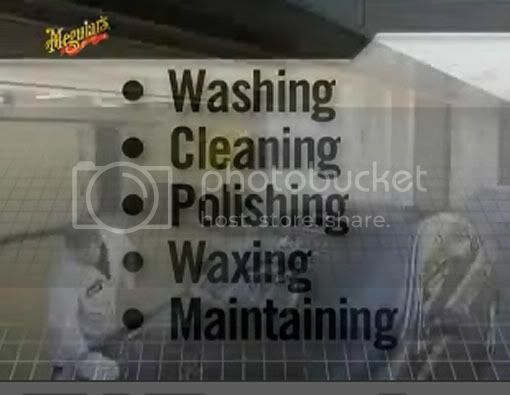 Gold Class Car wash and Deep Crystal Car Wash: which has removed all possible contaminants from my paints surface. Scratch X Remover: which helped substancially remove a scracth my 2 yr old did with a rock when my car was 2 days old. Good for swirls also. Meguiars Smooth Surface™ Clay KitRemoves above surface contaminants and restoring a smooth surface. Mirror Glaze which polishes the car: worked ok for me but was too much work and needed to be buffed out properly or white marks would show. However still worth the process. 1. Washing- removes the dirt and contaminants Wash and Dry with car soap only. Other soap removes your wax finish. 2. Cleaning- clay bar the car if there are bonded contaminants/car has a rough surface. Removes: Tree sap mist, dust, road film, bird droppings, etc. 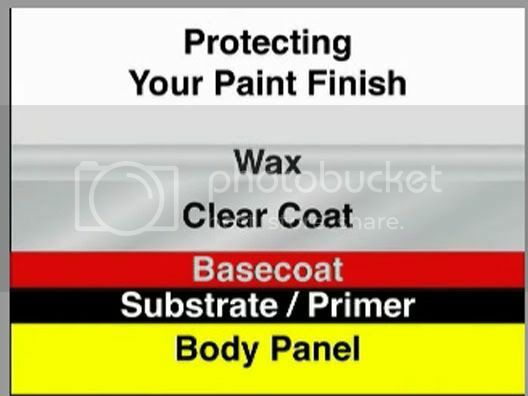 Paint finish should be as smooth as glass before you wax your car. 3. Polishing and Waxing- Polishing gives brilliance to your cars surface. Waxes protect your paints surface. this could not be more wrong. meguiars uses diminishing abrasives to remove scratches and swirlmarks. that is, that the microscopic cleaning components of the product break down even smaller as you work them in, turning from a cleaning action, which removes swirls, to a polishing action, which restores gloss. You are right in polishing first, however. any product designed to protect and add shine to the paint, whether its labeled a wax or sealant, will yield greater results when the surface is prepped properly. That is, removing above surface contaminates via claybar, and removing below surface defects, such as scratches, waterspots, bird etchings, oxidation, etc. My gripe over the cost of zaino is that for the same price as their sealant system or whatever you want to call it, i can remove all imperfections from the paint, protect it, and still have money left over for gas lol. Just bought a cordless polisher & Meguiars new Tech Wax. I was unsure at first because it cost $30 here in Canada. That was the best $30 I've ever spent! 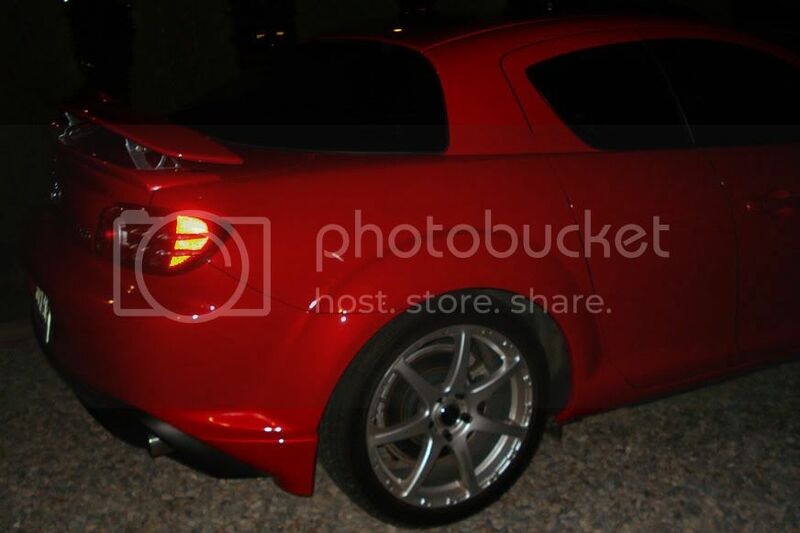 This pic was just taken so it's a night shot but look at the shine!! Can't wait to see it in the daytime!! Last edited by Leesha; 11-10-2009 at 08:33 AM. meguiar's nxt is great. smells great too! I love Meguiar's NXT, probably the best product per $ on the market. I use it on every car except my 8 which Zaino will only grace its clearcoat. NXT is a WHOLE lot easier to use than Zaino though. haha. yes, my wheels smell great. lol! i use them on my wheels too! I used NXT on my black Lexus and it did wonders for the shine. Come to think of it, I've got the day off tomorrow and I think I'm going to spend it clay barring and putting on a couple coats of NXT. Can you believe I've had my car for 11 months now and I still haven't waxed it yet? I must be crazy. I purchased some NXT last week for AUS $49. It was a bit steep in price but its worth every cent. The colours haven never been so rich as before...and it also removes the light scratches on the duco. NXT is great..............love it and the smell as well. NXT is one of my favorites on red. Good stuff for off the counter products. I'd say Meguiars is good too! Meguiars is also done in less than and hour!! No white marks or any of that caking from other types of wax. I'm a big fan of the NX TechWax as well. I've used almost a dozen wax products so far.... I would start with a fresh layer of NuFinish coat. NuFinish protects the paint better than Tech Wax... BUT afterwards the Techwax is the prefered wax for the cost, it seriously is my favorite, and a lot of people have said the same thing. Last edited by Gyro_Bot; 09-26-2008 at 05:25 PM. Meguiars also has an affordable clay bar kit for $20 (2 bars in a case, spray cleaner, cleaner wax, and a dry towel). Drive it like u stole it! after a very good wash, no..
you would be amazed at how easy and how well it works..
as long as you keep it lubricated and keep folding it around it works fine. Oh and if you buy any and your lubricant runs out, just use car soap and water, their lubricant is probably the same thing. It works great at taking off little spots of tree sap. just h2o works fine.. but as you said. wet is good..
remember it cant be to wet.. make sure the car is washed very very well..
coupled with NXT Speed Detailer for in-between wax and u're good to go. Last edited by altspace; 01-13-2008 at 07:51 AM.